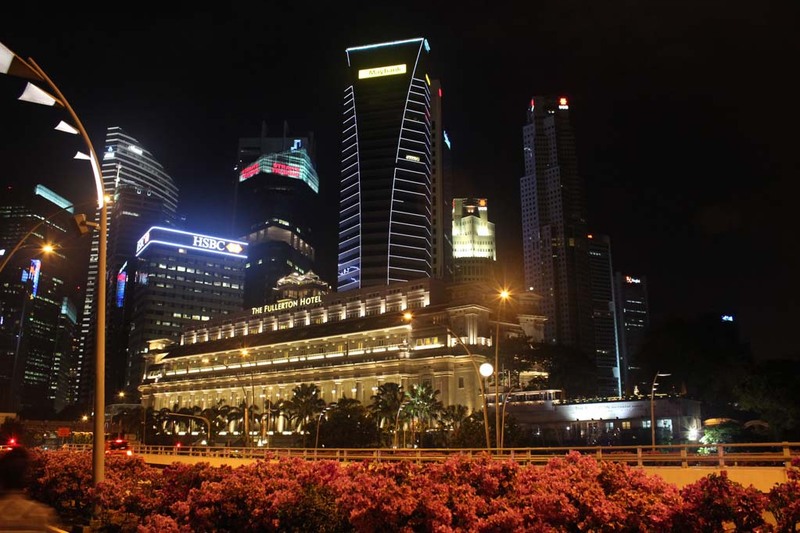 Singapore is well known for its beautiful urban landscape. So we waste no time in photographing them. After returning back to auntie’s flat and having shower and change clothes, we resumed our journey. 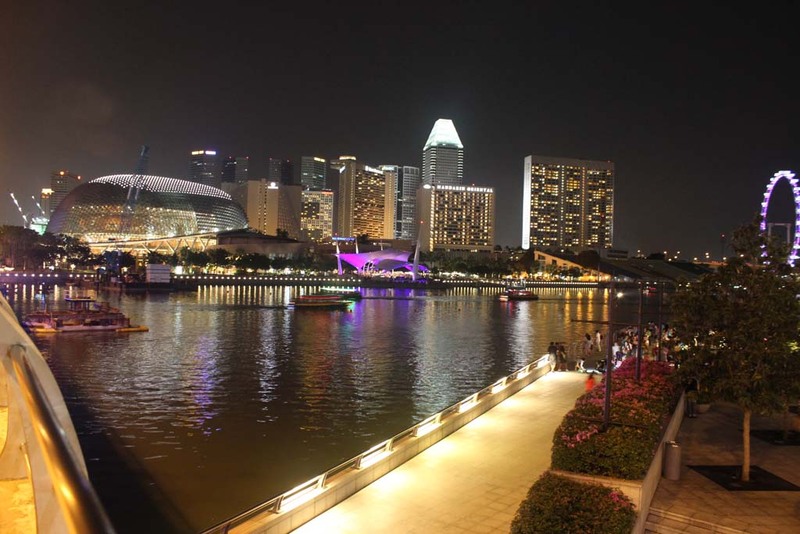 In our initial plan, we supposed to go to 2 places: Merlion statue, and Marin Bay sands. 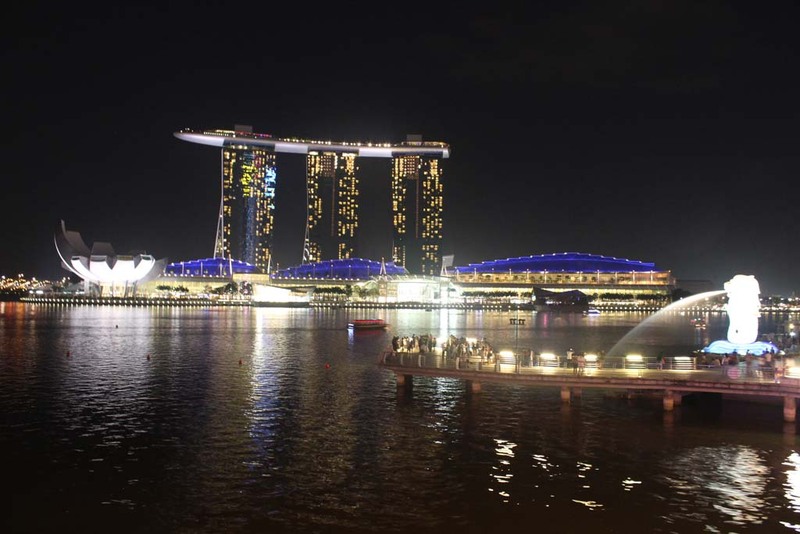 But since Marina Bay is well away, we reduce it to just Merlion statue. 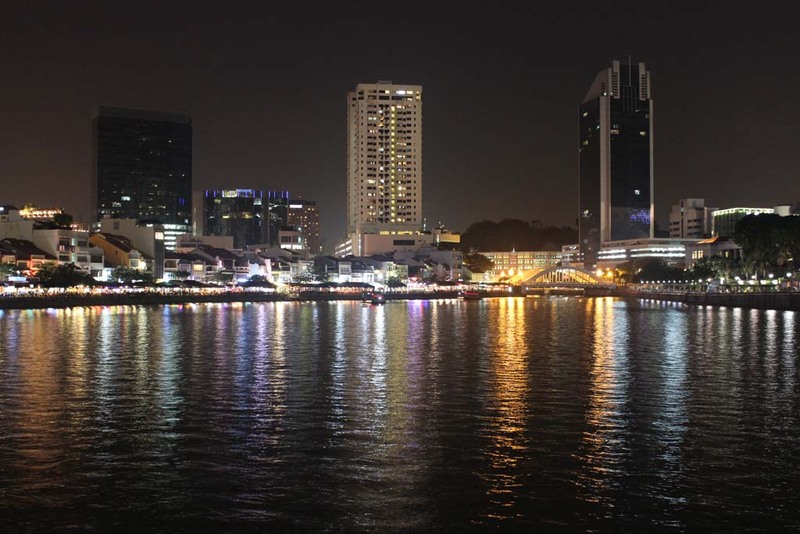 So we headed to City Hall MRT station, where we exited at Clarke Quay. 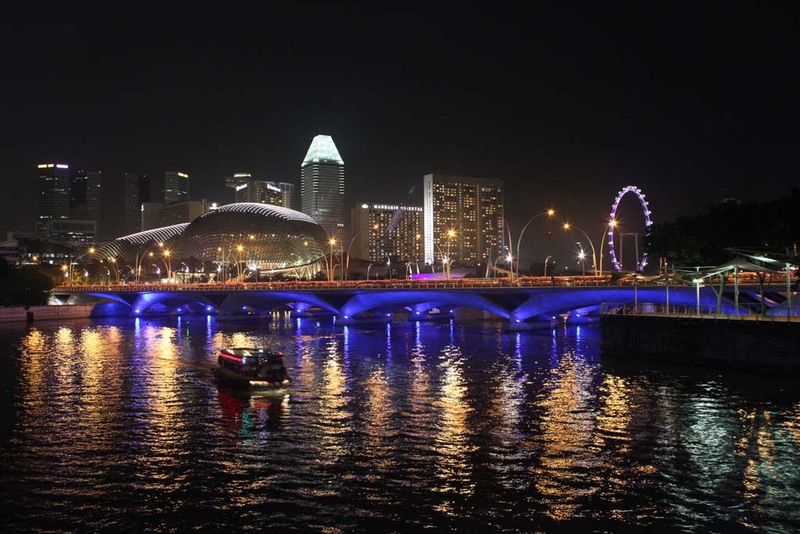 It was already late, but Clarke Quay was still busy. 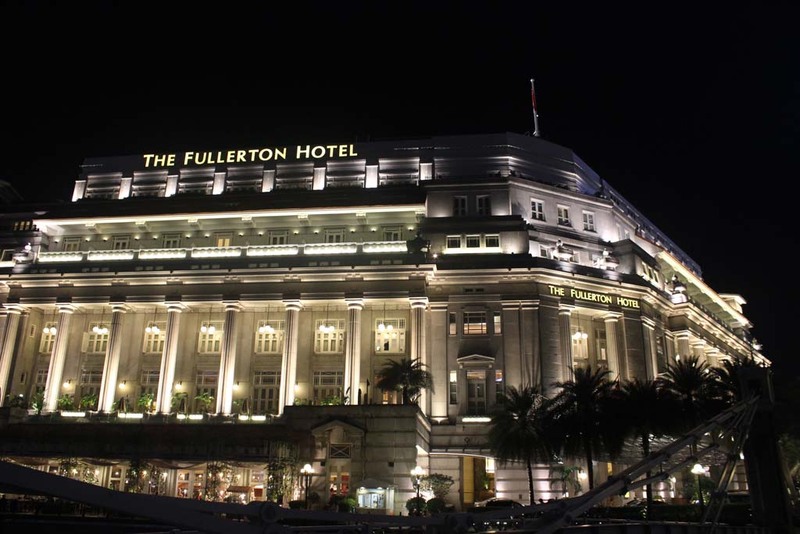 One landmark that dominates the area is Fullerton Hotel. 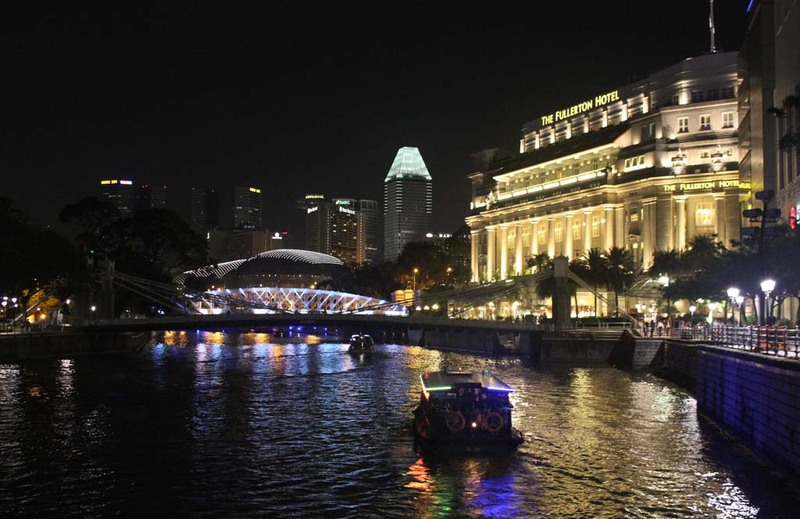 Once a General Post Office, now a hotel…a very expensive one! 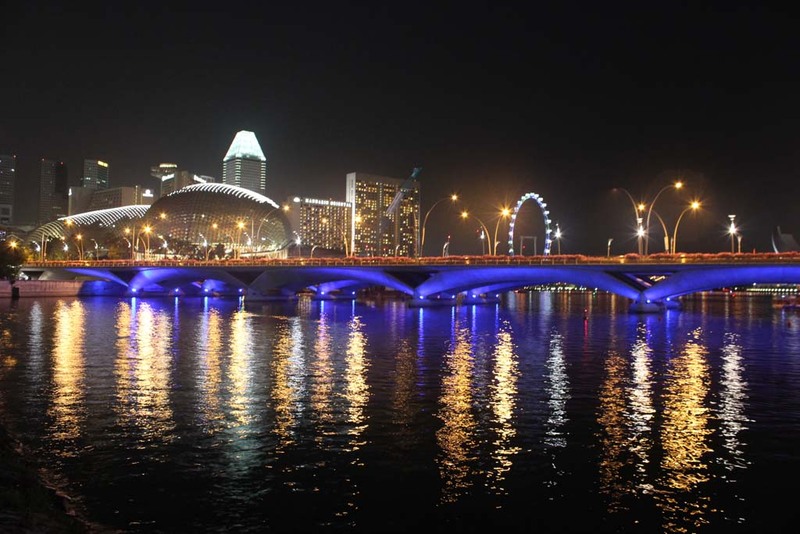 There are several beautiful bridges that cross the river. This is one of them. 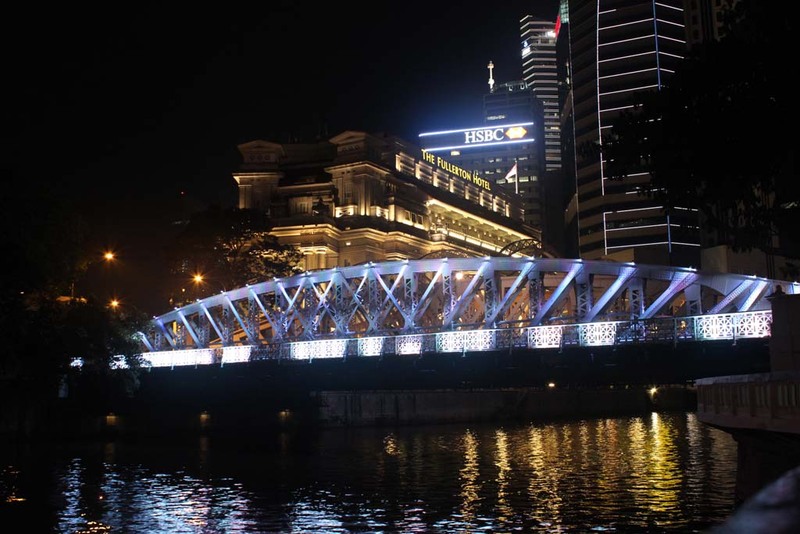 There is also one newer bridge which was built in 1990s, to commemorate the Millenium change. I remember, back in 1990s, this area didn’t exist as it was still constructed. 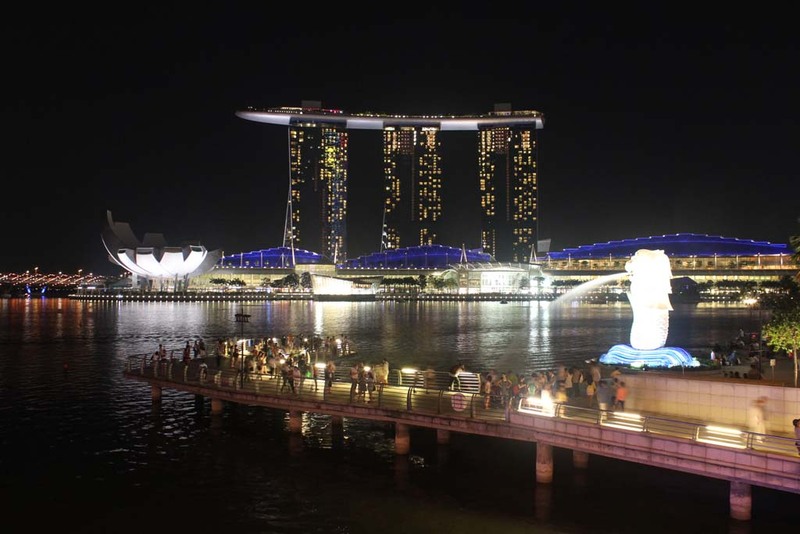 Now, here comes our target: the Merlion Statue. The statue was originally located behind me (from this point of view), but it was relocated to the present place when the rebuild the whole area in 1990s. Once we finished taking pictures, we’re heading back to our auntie’s flat. 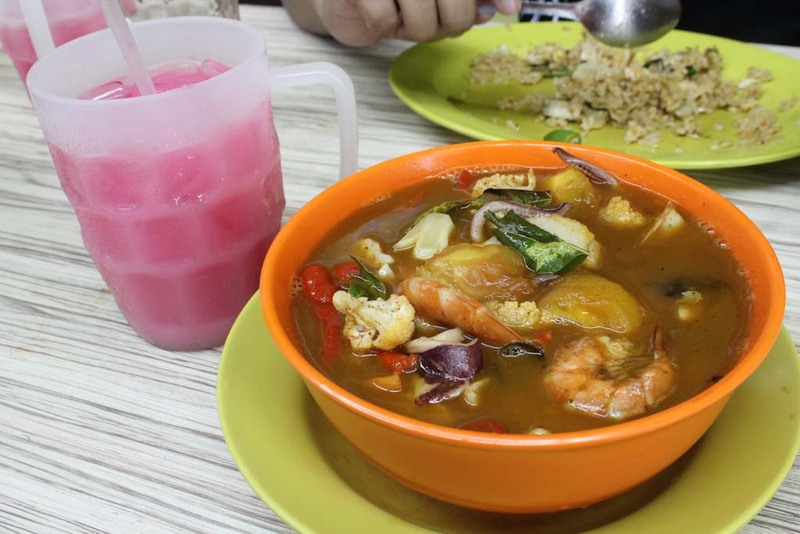 We also had dinner in one food court near her house. 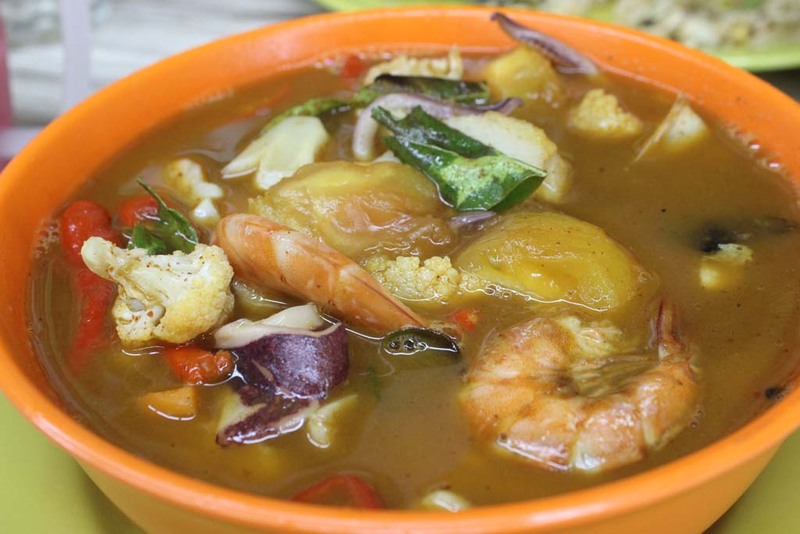 I ordered Tom Yam Goong, and I have to say this one is the best!